Star Plus the number one Hindi GEC Channel in India recently announced the launch of four original shows to restart building the afternoon slots between 12.30 pm to 2.30 pm started from 3 April onwards. 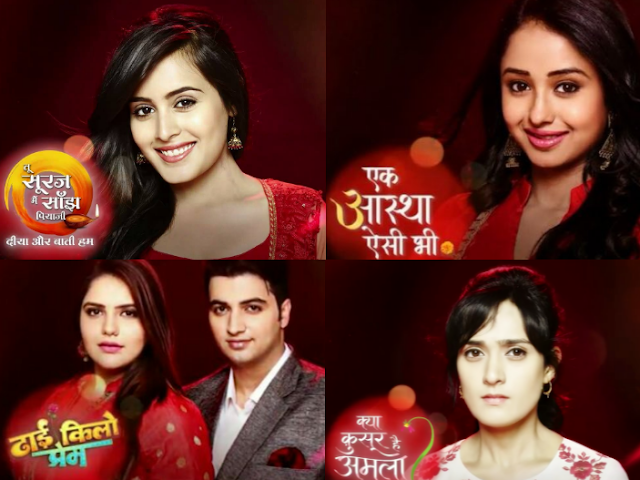 Star Plus termed the four non-fictional shows as “Star Plus Dopahar”. The shows will run on weekdays only like other Star Plus drama serials except Koi Laut Ke Aaya Hai which is suspense finite series, airs on every weekend. This is not the first time that popular Hindi GEC channels are launching shows in the afternoon prime time band. For example, Sony‘s popular Ghar Ek Mandir (starring the popular real couple Ram Kapoor-Gautami Kapoor), Star Plus Live‘s Kumkum Bhagya with the popular Jodi Hussain K and Juhi Parmar or Zee TV’s Gharaana. Colors also launched some shows but couldn’t reach the popularity like the other channels had a decade before. But the issue is for long, the Hindi GEC viewership and content investments have been restricted to the evening primetime bands, mainly between 7 PM and 10 PM. So, it is definitely going to slow and steady race for all the new shows. By seeing the promos only, you can figure out the shows are not on par with the regular evening shows or any of the top GECs. Below are details about the new shows which will fascinate you to have a glimpse of the show. Kya Qusoor Hai Amla Ka: The show is a Indian adaptation of the Turkish show Fatmagul which is currently popular in the Zindagi Channel. It will telecast at 12.30 PM. The show is story of hill side village girl Amala who has a small and sweet dream of a perfect house with her love Dev, her marriage plans but thing went haywire when Amala will be victimized of molestation and everybody will start rejecting her. Sounds interesting, a definite watch. Tu Sooraj Main Saanjh Piyaji: This is the sequel of the popular prime time show Diya Aur Baati Hum. Much to the viewers’ disappointment the show won’t have the leads Sooraj and Sandhya but instead it’s about the story of their daughter Kanak who is a typical mixture of the both and soon going to be married. Will she able to make her love story like her parents. Lets see what happens, it telecasts at 1 PM. Ek Aastha Aisi Bhee: This show is based on a pilgrimage place where people are devoted to the God and can do anything for sake of god. But unlike them a girl Aastha believes it’s better to help the needy than spent the amount in the name of god. Her perception is completely different, but the story has a twist, she will be in big dilemma when she gets married into a typical god devoted family. How will she survive, the show airs at 1.30 PM. Dhhai Kilo Prem: Another Ekta banner show but wait this show is not the cliché romantic revenge shows which showcases on other channels. The concept is not different or new but no one has done something like this before. The story is about a boy and a girl who have weight issues but still has high expectations about their partners. What will happen when the two‘s life will cross each other. The show telecasts at 2 PM. Enjoy watching this new shows on new time only on Live Hindi TV Channels on YuppTV.